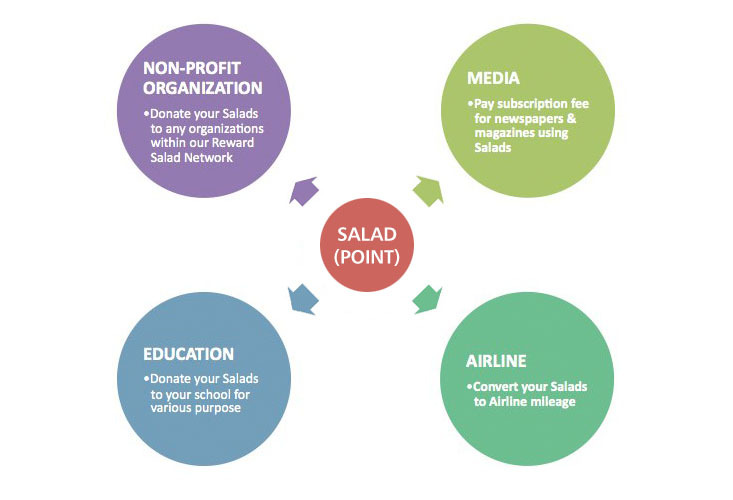 Reward Salad Loyalty Card program is constantly striving to expand our partnership to various social networks. Soon you will be able to use your Reward Salad Card for your essential and leisure needs. As our affiliation grows, your benefits will grow as well. Affiliated Partners can provide benefits toward cardholders that will fit your lifestyle. Events, discounts and coupons can be provided through this program. Affiliated partnership is based on building points on our partners programs.